Pietro Ottoboni was born of a noble Venetian family in 1610. Early success for him came as a student when he earned a law degree at seventeen years of age. Soon after, he entered the curial service. He served as governor in the papal state for five years and later as a judge of the Rota for fourteen years. His judicial decisions in that position were famous. 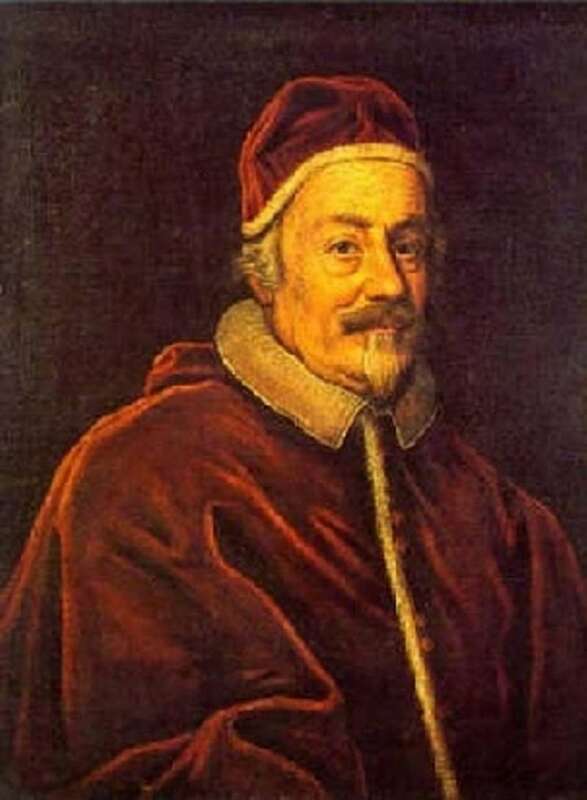 In 1652 Innocent X elevated him to the rank of cardinal priest and in 1654, bishop of Brescia. Upon his return to Rome in 1664 he played a leading role in the curia. As a trusted confidante of Innocent XI, he became grand inquisitor of Rome and secretary of the Holy Office. In one of the leading controversies of the day, Quietism, he was particularly active. 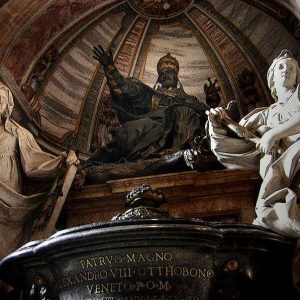 He also added names to the Index of Forbidden Books, most notably, the Oratorian, Cardinal Petrucci whom he ordered to leave Rome for his diocese. Upon the death of Innocent XI, the conclave lasted nearly two months. Despite the usual pressures from the French, the Spanish and the Emperor, the cardinals were resolved in their decision to elect a man of the church rather than a politician. Ottoboni’s illustrious career showed that he was knowledgeable, had experience and was efficient at making difficult decisions. His character made him the man they wanted. Although the French were initially hostile to him because of his strong association with Innocent XI, they relented when Ottoboni and his nephew made conciliatory gestures to them. 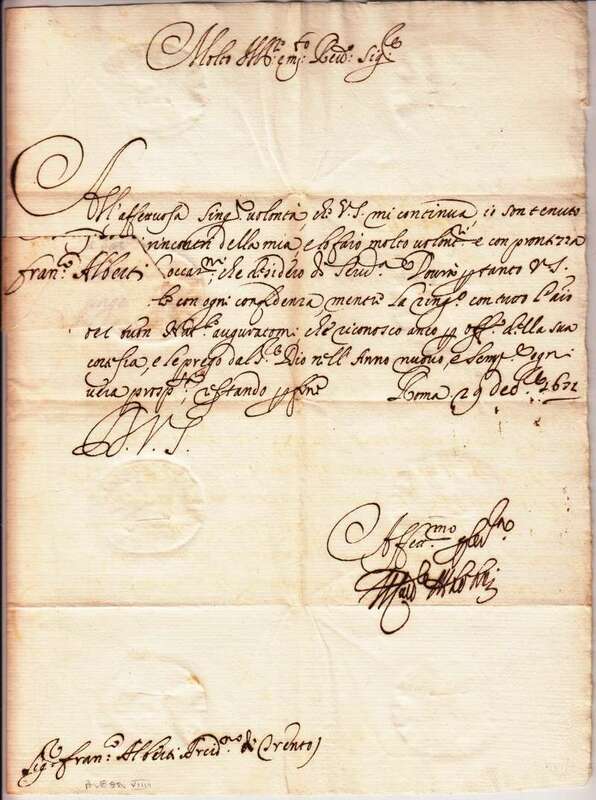 In October of 1689, Pietro Ottoboni became Alexander VIII. He was seventy-nine years of age and would rule for only fourteen months. 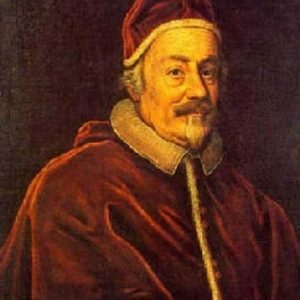 Despite his close association with his predecessor, Innocent XI, Pope Alexander VIII was in marked contrast to him in at least two ways. An austere demeanor, great frugality and total opposition to the practice of nepotism characterized Innocent’s pontificate. He expected his cardinals to follow his lead. Alexander VIII’s style was the opposite. He was a man of great charm. Noted for his kindness and affability, he delighted the Romans by his lavish style, opening theaters again and opera houses. 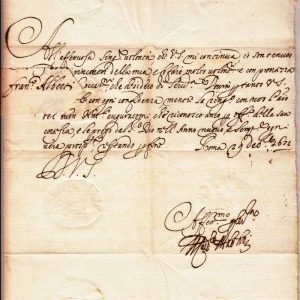 A man of letters himself, he was at ease in literary circles and enriched the Vatican library by the purchase of valuable manuscripts and other collections, among them, the one owned by the former Queen Christina of Sweden. 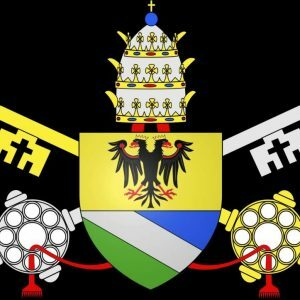 But nepotism marred his papacy. He appointed his grandnephew, aged twenty, cardinal nephew and his nephew Giambattista as Secretary of State, investing them and other relatives with lucrative benefices. Alexander’s short papacy was consumed with the problem of relations with France. Initially, King Louis returned Avignon and the Comtat of Venaissin, which he had occupied during Innocent XI’s reign, to the Church. Alexander then appointed a French cardinal despite his Gallican leanings. The relationship cooled, however, when Louis XIV asserted fresh Gallican claims. After months of negotiations, Alexander not only condemned the four Articles that concerned the liberties of the Gallican church but also the right of regalia in the entire French realm. This Constitution was only published on the pope’s deathbed at the end of January in 1691. Cool relations with Emperor Leopold developed because Alexander failed to appoint any of his nominees to the position of cardinal. Additionally, he gave the emperor smaller subsidies to combat the Turks than Innocent XI had. Instead, Alexander gave generous support to his beloved Venice against the Turks and this action met with angry resistance. Leopold’s response was to withdraw his ambassador from the Vatican. Alexander took a firm stand in the defense of Catholic orthodoxy, fighting the three great religious controversies of the century: Quietism, Laxism and Jansenism. Because of his experience in the Holy Office, he was a jealous guardian of the faith. Certain Laxist positions among the Jesuits were condemned as well as thirty-one Jansenist propositions. He sentenced the surviving followers of the Spanish Quietist proponent, Miguel de Molinos to life imprisonment. 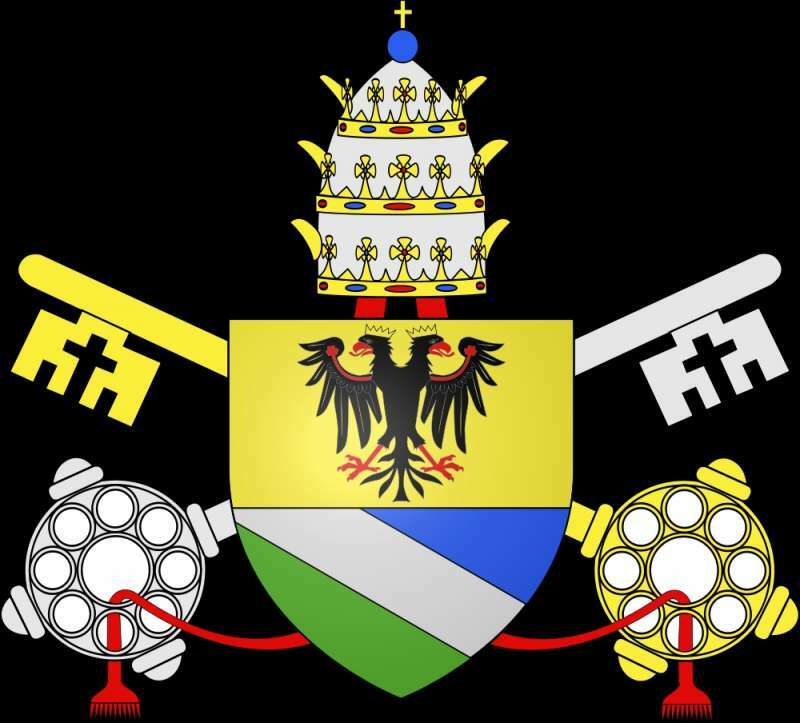 Within the Papal States he tried to meet the needs of the people, ordering tax reductions on beef and flour and increased food imports. Out of compassion for the poor he helped by reducing taxes. But to the discredit of his pontificate large scale and unbounded nepotism as well as his charitable work exhausted the treasury. Alexander VIII died in February of 1691. 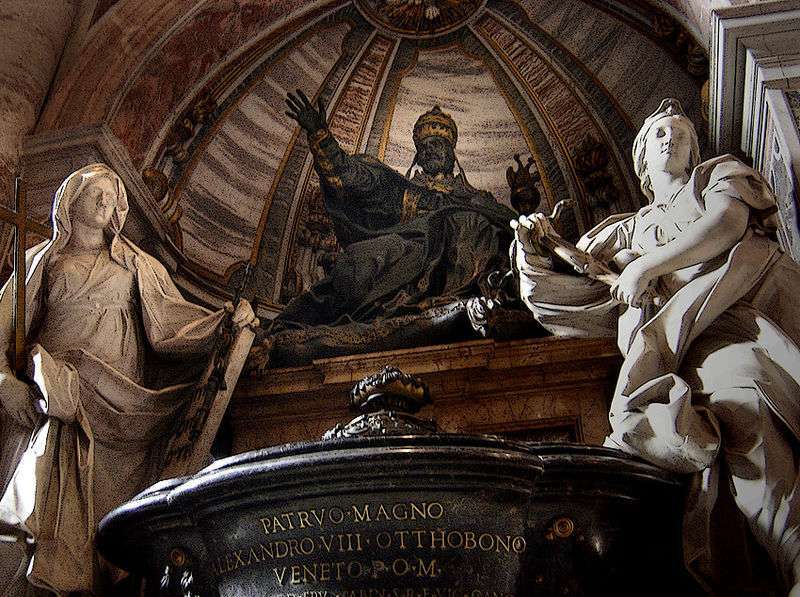 His nephew, Cardinal Rubini, erected a sumptuous tomb for him in St. Peter’s Basilica.